Seven 8K textures (resolution 7680 x 4320) + seven seamlessly-tileable patterns (resolution 2048 x 2048) from crumpled, fibrous white to grainy brown papers. These ultra high-res allows the backgrounds to be used either full-size, cropped or by areas, as canvas for sketching, drawing or watercolor painting or as textural effects to add sharpness and roughness to your creative production. .zip archive contains 14 .jpg files. 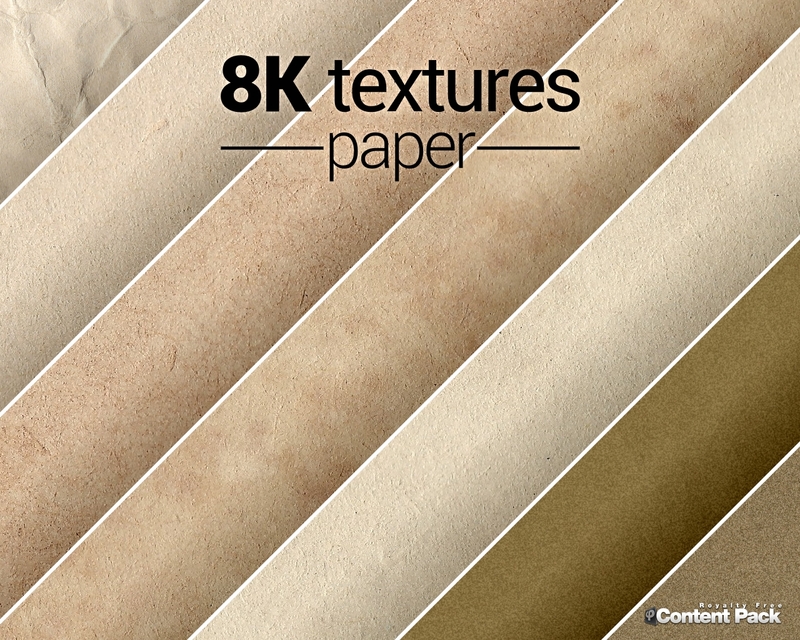 Partager la publication "8K textures paper"